July is all about Wimbledon in London – but that’s not all the capital has to offer. From free fitness classes on the Southbank to fashion shows at Regent Street, July is surprisingly full of some pretty great free stuff. As always, if nothing on my list tickles your fancy, some of my fellow BrokeinLondoners have some more ideas for you in the free films in London and free entertainment section. Everyone raves about the South Bank so much that the North Bank decided it needed to remind everyone about its existence. Join the Northbank Summer Festival for the Embankment Summer Market. There’s food, there’s crafts, there’s live music and there’s even LAWN GAMES like giant jenga and croquet. You know that you’ve always wanted to frolick down Regent Street without the risk of being run over – and now you can! 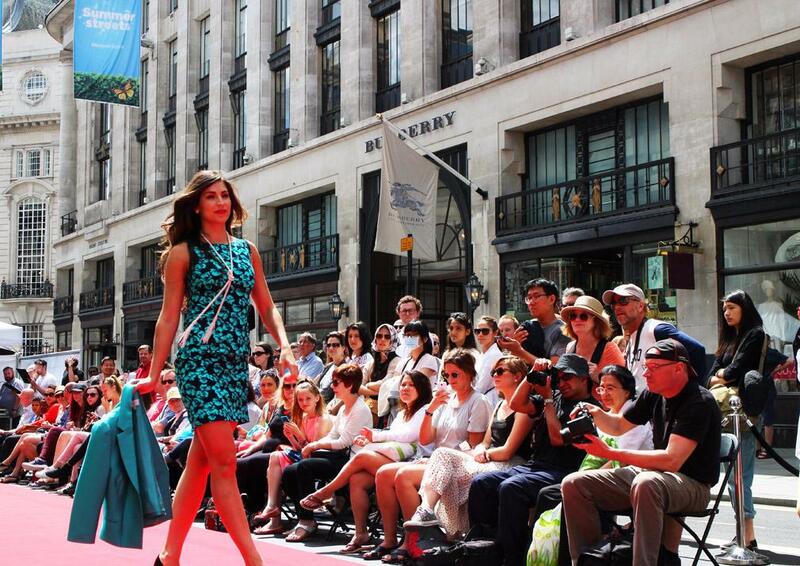 Regent Street Summer Streets are back to give you traffic-free days of fun. 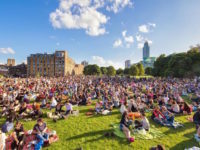 On the 10th in honour of the British 10k London Run there will be a day of fitness activities, on the 17th there’s a Garden Party complete with bandstand, and on the 24th there’s a fabulous outdoor fashion show. 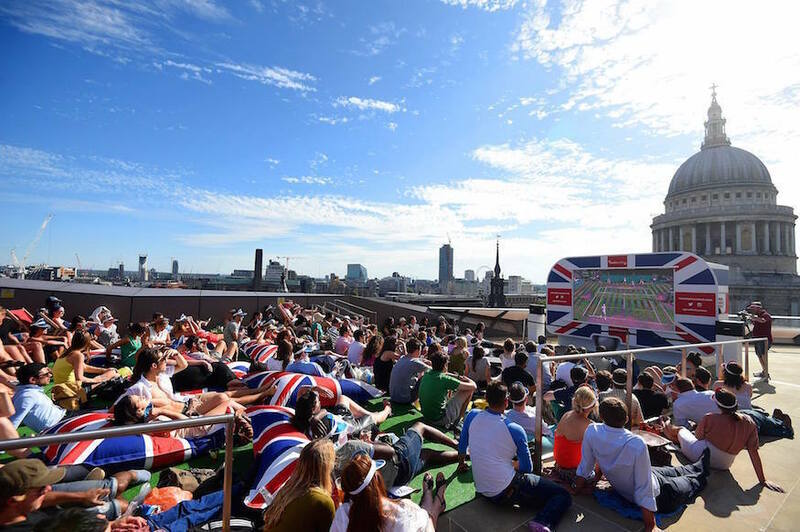 If you didn’t manage to grab tickets to the tennis and don’t fancy queuing for hours for day tickets then fear not – there are outdoor screens showing Wimbledon all over London. From Canada Square in Canary Wharf to Duke of York Square in Chelsea, Londonist has put together the ultimate list no matter where you live. 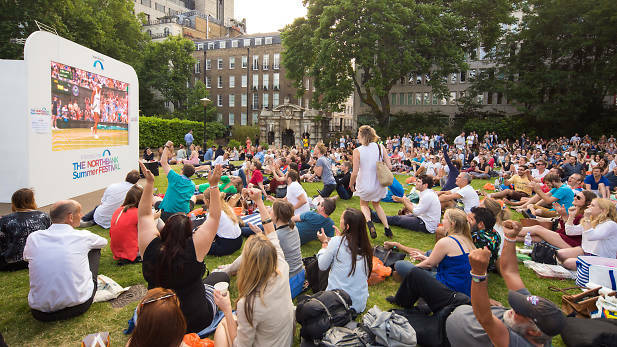 The London Bridge City Festival has got free films, free music, free fitness, and free theatre all summer – which is pretty great. 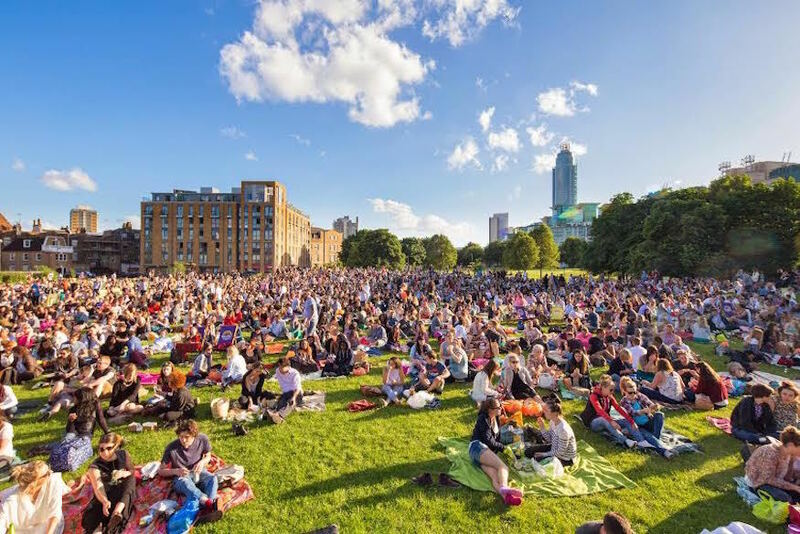 You can watch Purple Rain on the 12th, do some Yoga on Wednesday 13th, dance along to DJ Brett Pfister on Saturday nights and take part in a Jitterbug competition – that’s summer sorted. 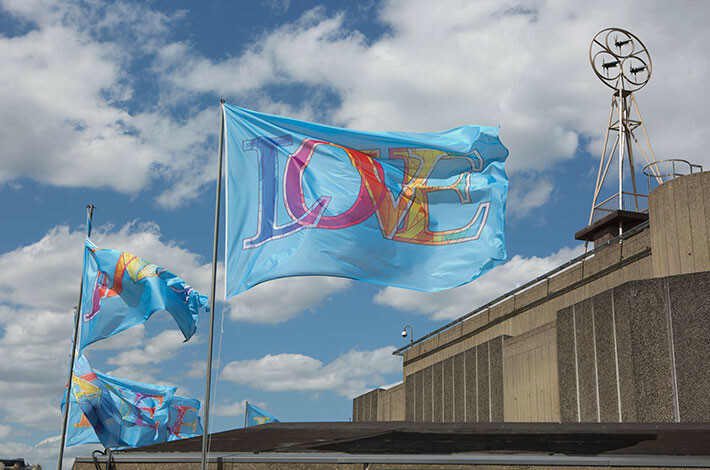 The Southbank Centre Festival of Love has TONS of free stuff this year – morning yoga on the roof garden, Jeppe Hein’s Appearing Rooms and his Modified Social Benches and a collection of real-life love stories in their archive room. If you like to sing and dance you can join the chorus at Love Songs to Welcome or dance around at the Festival of Love Social Dance. There’s something for everyone and it is sure to make your heart sing! The Young Marketeers programme at Borough Market is having their summer sale on the 7th July! Children from local schools produce fruit and veg and sell it alongside the usual vendors at Borough Market with the School Food Matters programme. Not only do they learn about growing, they also learn about food poverty and food waste. It’s an incredible programme that deserves your support so put your grocery budget towards these kids this week. 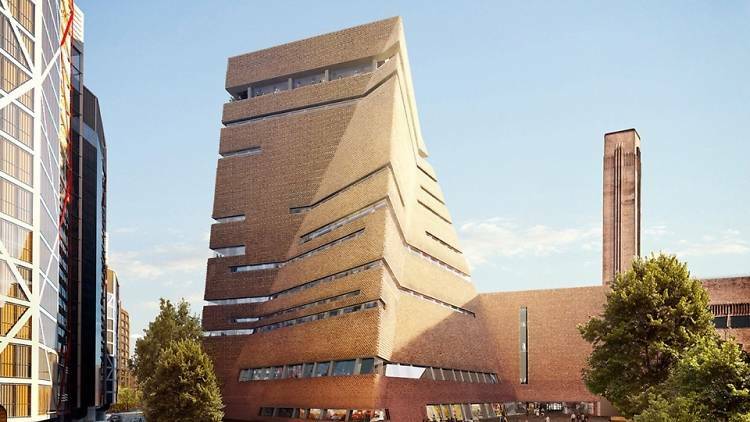 If finally happened- the new Tate Modern extension, The Switch House, is finally complete and it is beautiful. Seriously, if you haven’t been inside and all the way up to the viewing gallery you need to add it to your weekend list. The current collection is slightly overshadowed by the building itself but you’re sure to find something you love. Even if you aren’t a super cyclist you can take part in the Prudential Ride London. On Saturday 30th July cyclists of any age and ability can take to the streets for the FreeCycle on the same route as the professionals. It’s free but you do need to register so don’t forget! Where: 8 mile circuit passing Buckingham Palace, St Paul’s Cathedral & More! 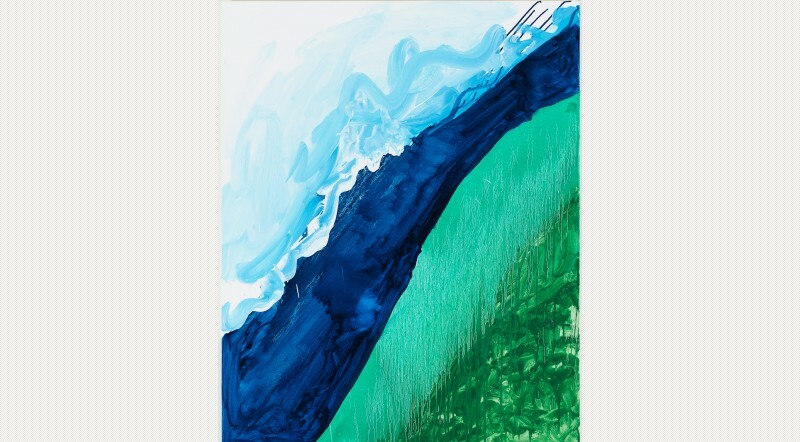 You may not have heard about Mary Heilmann but she’s a rule breaker. Starting out her career as a sculptor, she made the switch to painting when she moved to NY at a time when everyone thought painting ‘was over’ (which is a pretty absurd thought, really). Her abstract paintings are beautiful and you can see them at the Whitechapel Gallery all month.